Custom sleuths seized banned Phensedyl cough syrup-worth Rs 50 lakh from a truck near Thangshalai in Meghalaya, district officials said today. Acting on intelligence inputs, officials of Prevention Unit of the Customs office intercepted the truck bearing Nagaland registration number at the bypass near Thangshalai yesterday, they said. "The seized Phensedyl cough syrup hidden under 86 bags of onions in the truck. A case was registered under the provisions of NDPS Act, 1985," Deputy Commissioner (Headquarters Prev) Dr Prakash Borgohain said. 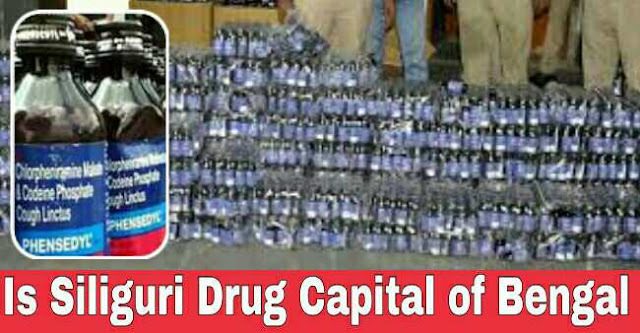 A total of 29,600 bottles of Phensedyl Cough Linctus, Codeine based medicinal preparation, concealed under sacks of onion were recovered, he said, adding the total value of the seizure was Rs 49.92 lakh. Based on preliminary investigation, the official said the Phensedyl consignment had been loaded in Siliguri and was bound for Agartala apparently for being finally smuggled to Bangladesh where phensedyl cough syrup is used as an alternative narcotics drug. Shillong, Feb 4 (PTI) Custom sleuths seized banned Phensedyl cough syrup-worth Rs 50 lakh from a truck near Thangshalai in Meghalaya, district officials said today. Borgohain said there is very high demand of this cough syrup in Bangladesh which is sold at a premium and that is why unscrupulous elements USE innovative modus operandi to transport phensedyl to Agartala.